Ukulele lessons make a great gift! Wendy will be offering two new series of beginner uke classes — in Bethel CT and at Arts on the Lake — starting in January. And for those that have already taken Beginner 1 and 2, I’ll be offering level 3! Start the New Year with some strummin’! At Arts on the Lake: Lake Carmel Arts Center, 640 Route 52, Lake Carmel, NY. Register online at http://www.artsonthelake.org/class_list.php Sign up to reserve a spot! 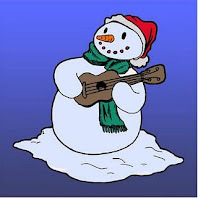 Level 3: For experienced beginners or those who want to sharpen their ukulele skills. A series of four workshops, each on a different topic. Not a beginner? Private lessons available too.